By connecting your electrical appliance to the Save A Watt Digital Timer will let you take control of your power usage. 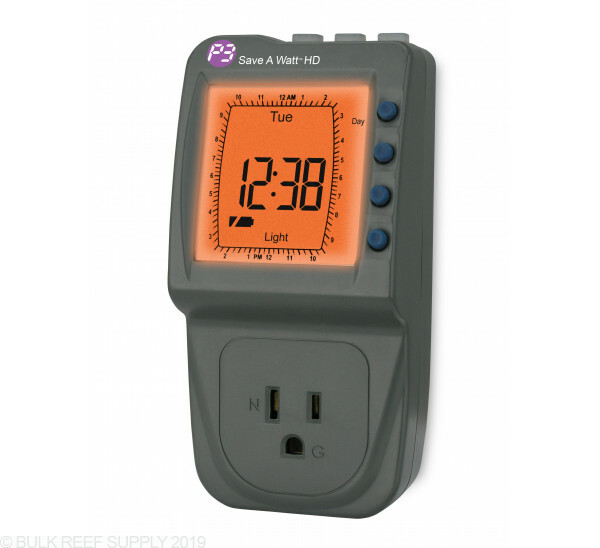 Have lights, pumps, fans, and much more controlled by this heavy duty programmable timer. 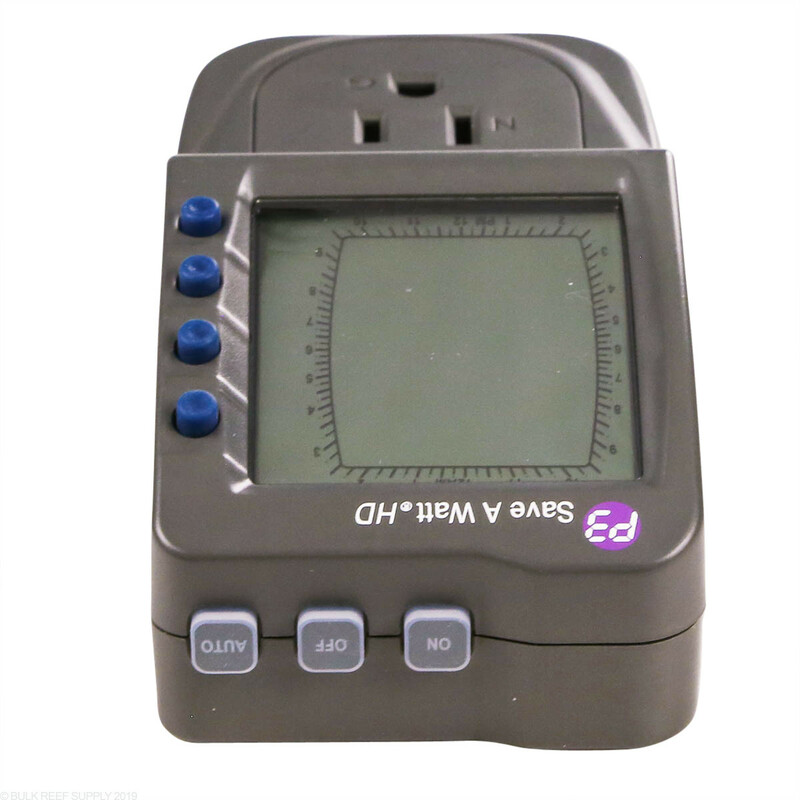 The large backlit LCD display makes programming and if you ever forget which setting you choose its easy to see at a glance. 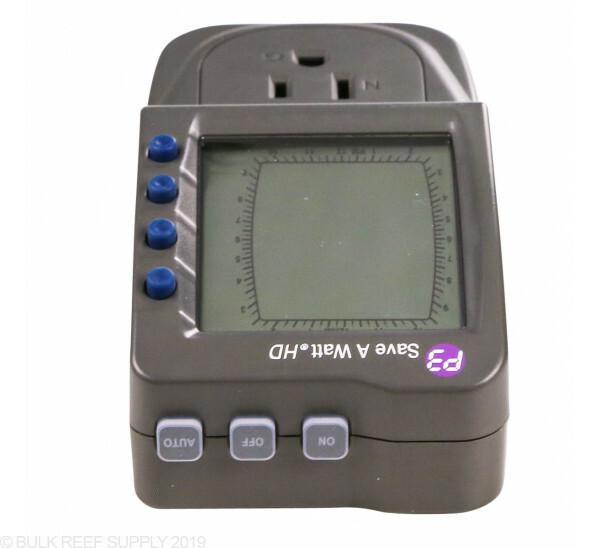 The advanced control of the Save A Watt Timer takes off where a traditional digital timer ends, allowing you to program the timer for periods of up to 7 day cycles. 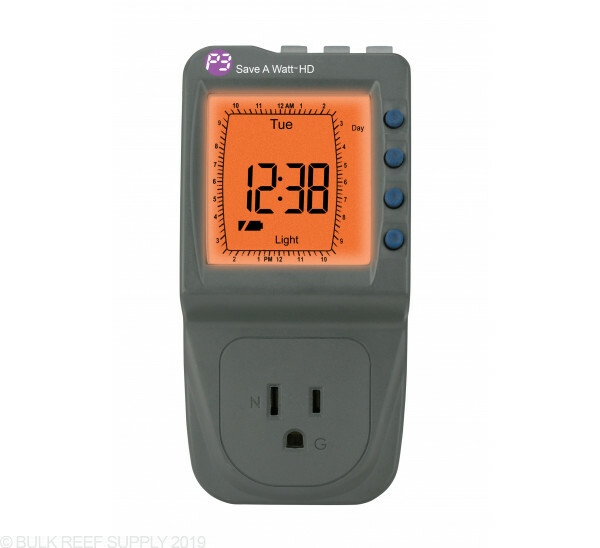 P3 International makes high-quality electronic monitoring and controlling equipment. 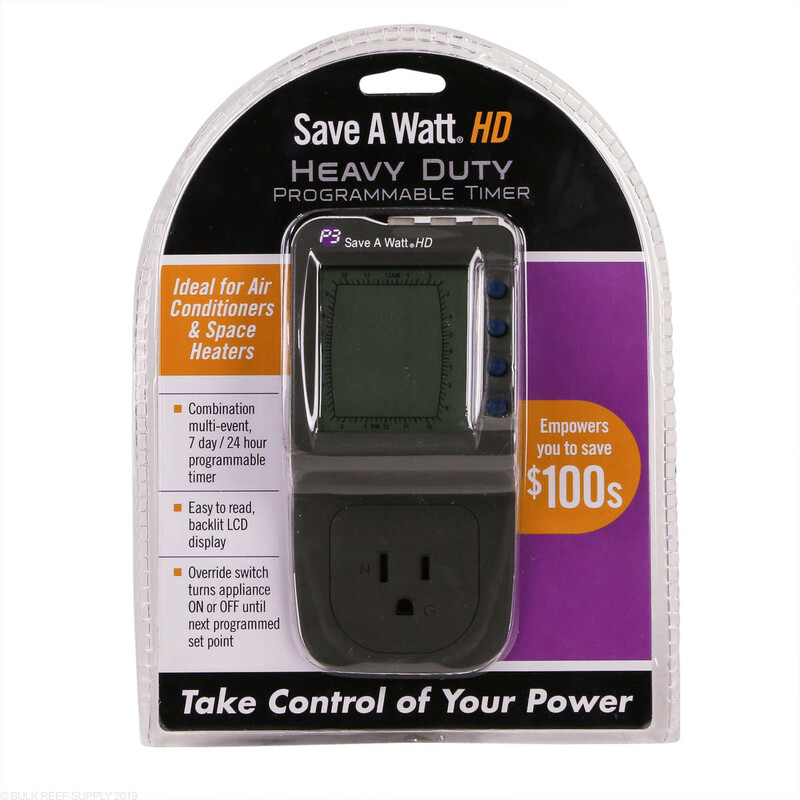 Control lights, pumps, water change stations, fans and much more with the Save A Watt Digital Timer. 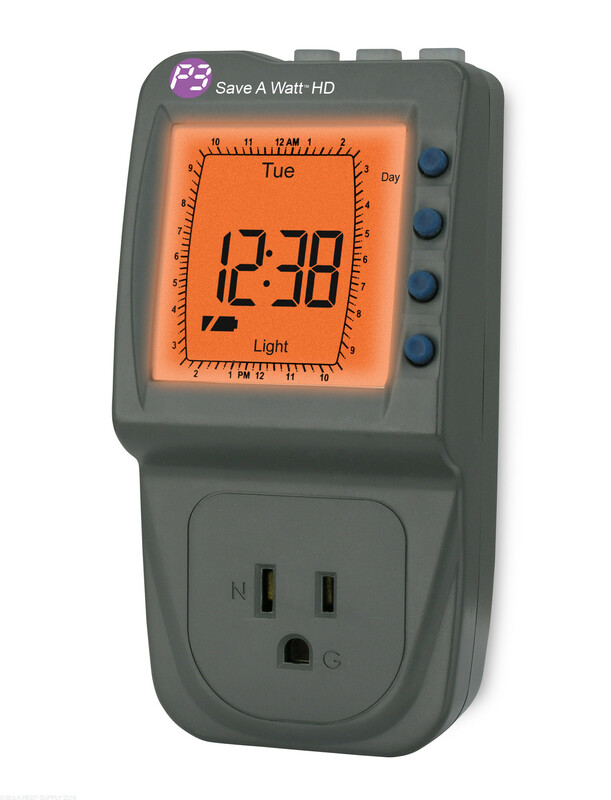 The easy to program timer has a super large, orange backlit LCD display makes it easy to read from across the room. 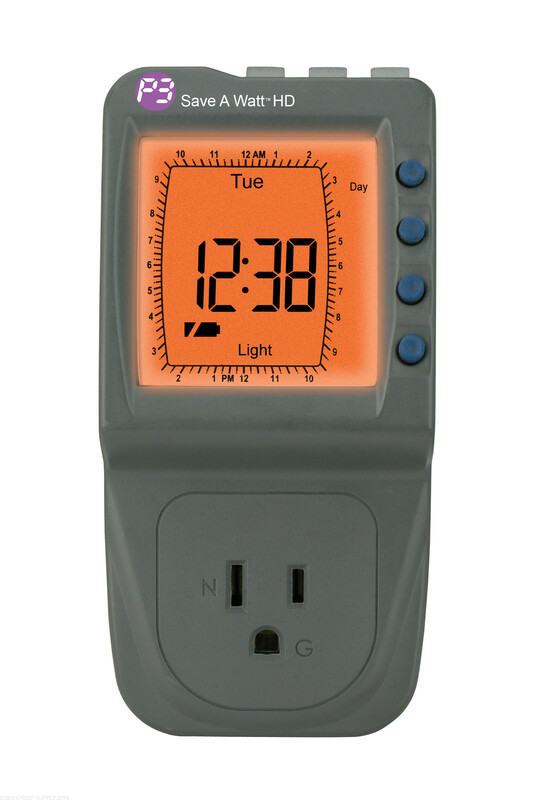 With LEDs indicating the On, Off, and Auto keys, all the buttons are soft-function keys that allow for simple, positive programming. Every 12 hours it loses roughly 7 minutes and clock time has to be reset. The program function only works in minimum of exactly 15 minute increments and cannot be set lower or in between if needed for example running 23 minutes.